Beautiful large home in Gardner Park sits back graciously on almost acre lot. 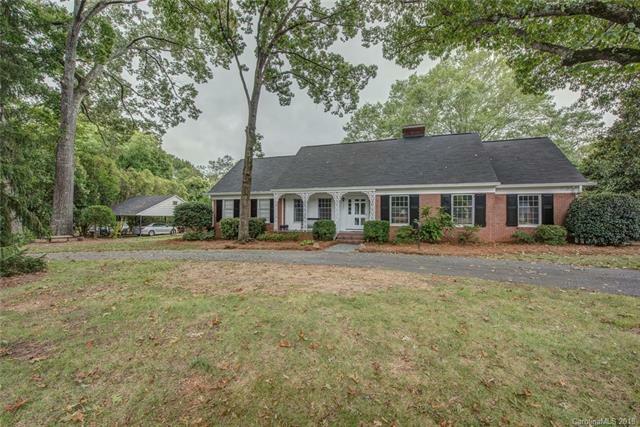 You are welcomed to the home with a circular drive and covered front porch. The home has various living areas that can be mult- functional. The highlight of the downstairs is the glassed in porch that is heated and cooled for year round living. Spacious kitchen has lots of cabinets. The adjacent storage rooms and laundry rooms offer more storage than most people would need. Upstairs, there is more storage and a large BR and BR/bonus and large hall area that would be a perfect computer niche or office. So Much House and Oh what a back yard with a brick fence!